From November 25 - December 2, London will again host Russian Film Week, a celebration of the finest cinematic offerings to emanate from Moscow and beyond, with genres spanning historical and political dramas, art house, action, documentaries, short films and more. The festival also seeks to bridge the gap between Russian cinematography and the western world. Festival founder Filip Perkon, believes at a time of heightened political tensions, it's more important than ever to build cross-cultural bridges between Russia and the UK. "We need to reach across the divide and collaborate effectively on the world's stage. This very idea — that by bringing people together we can increase global harmony and nurture peace — is the foundation on which Russian film week was built," he said. Festivites will commence at Empire IMAX Leicester Square — the UK's largest cinema screen — with Avdotya Smirnova's drama Istoriya odnogo naznacheniya (The Story of an Appointment), which collected the Gorin prize for best script at Russia's main national film festival Kinotavr. The story is based on a significant episode from Russian literary giant Leo Tolstoy's life. Other landmark venues due to be engulfed by the cinematic carnival include BFI Southbank, Regent Street Cinema, Curzon Mayfair, Empire IMAX Leicester Square as well as in Edinburg, Cambridge and Oxford. Highlights of the festival include Kirill Serebrennikov's biographical film Leto (Summer), and the renowned Sobibor, Russia's foreign-language film Oscar submission 2018 and the debut feature of actor-turned-director Konstantin Khabensky, star Hollywood blockbuster World War Z. 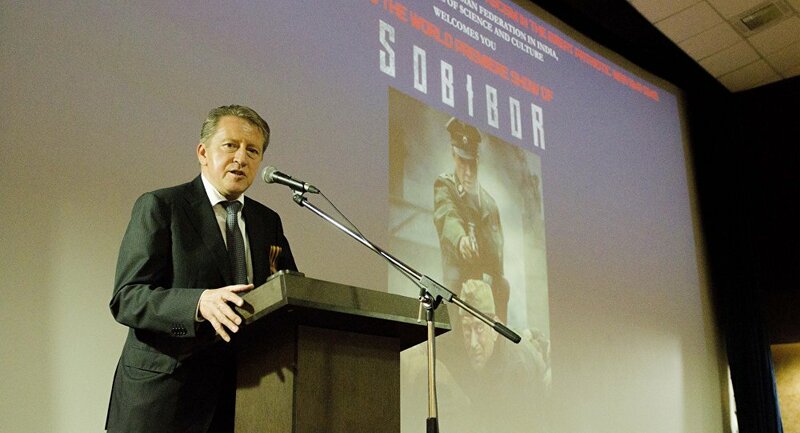 The film tells the story of the 1943 uprising in the Sobibor Nazi extermination camp in 1943, led by Soviet officer Alexander Pechersky. Beyond enjoying silver-screen projections, attendees also have the chance to meet the filmmakers at question and answer sessions, masterclasses, workshops, seminars, talks and exhibitions. This year special guests will include Vladimir Mashkov, Konstantin Khabensky, Danila Kozlovsky, Avdotya Smirnova, Marina Zudina, Ivan Okhlobystin and other Russian film experts. The festival culminates in the Golden Unicorn Awards, designed to recognise excellence in nine fields, including the Best Foreign Film About Russia. 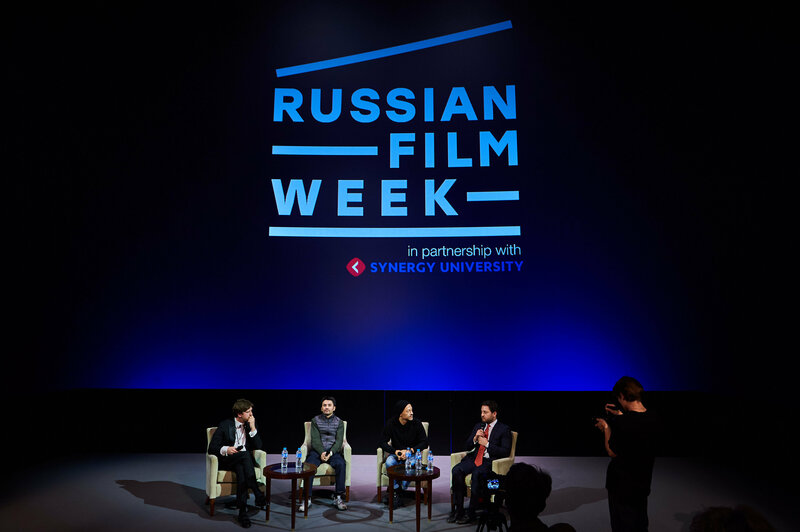 The voting process reflects the cross-cultural philosophy of Russian Film Week — all films will be judged by an international jury, headed by renowned British actor Brian Cox. The arguable centerpiece of last year's instalment of Russian Film Week was Matilda, a controversial drama about the love life of Tsar Nicholas II, Russia's last emperor. The film chronicles an affair between the young Tsar-in-waiting and half-Polish ballerina Matilda Kschessinskaya. Its release in Russia followed months of intense debate, with Russian Orthodox activists expressing extreme offense at its portrayal of Nicholas II, given he was canonized as a saint by their church in 2000. They denied any such affair ever took place, and claim the film's purpose is to "again plunge Russia into bloody chaos". Whether due to the controversy, or excitement at the prospect of a raunchy foreign period drama, public interest in Matilda was so high event organisers were obliged to schedule a second showing of the movie on the final day of the festival — Sputnik secured an exclusive interview with director Alexey Uchitel just prior. 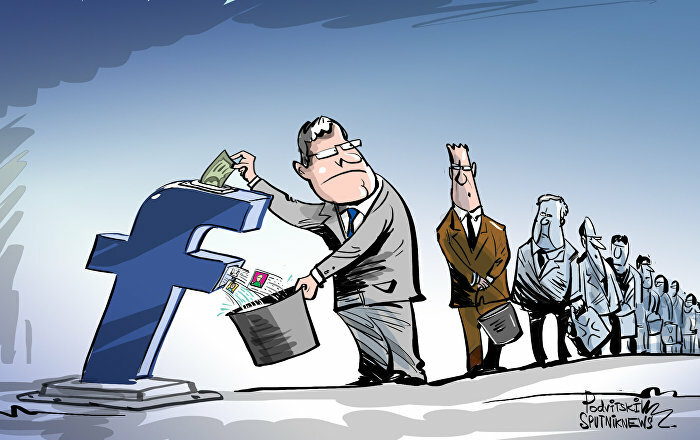 This year, Sputnik will again be attending and publishing content readers won't be able to find anywhere else.